Our line of FrameRite® Connectors are designed specifically to reduce labor while assuring proper attachment of cold-formed steel products. In addition, we feature world-class Simpson Strong-Tie Connectors which are available through Marino\WARE®. This combination of Marino\WARE® and Simpson Strong-Tie® Connectors unites two industry leaders and offers our customers a one-stop source for the most reliable connectors available. At Marino\WARE® we are dedicated to your success and committed to delivering the best possible products to the metal framing industry. 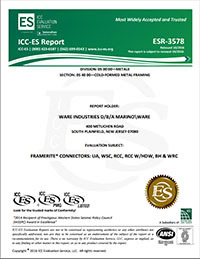 FrameRite Connectors are the industry’s most comprehensive line of connectors for cold formed steel framing. Designed to significantly reduce time, labor, materials and costs, our connectors facilitate quicker, more cost-effective installation. 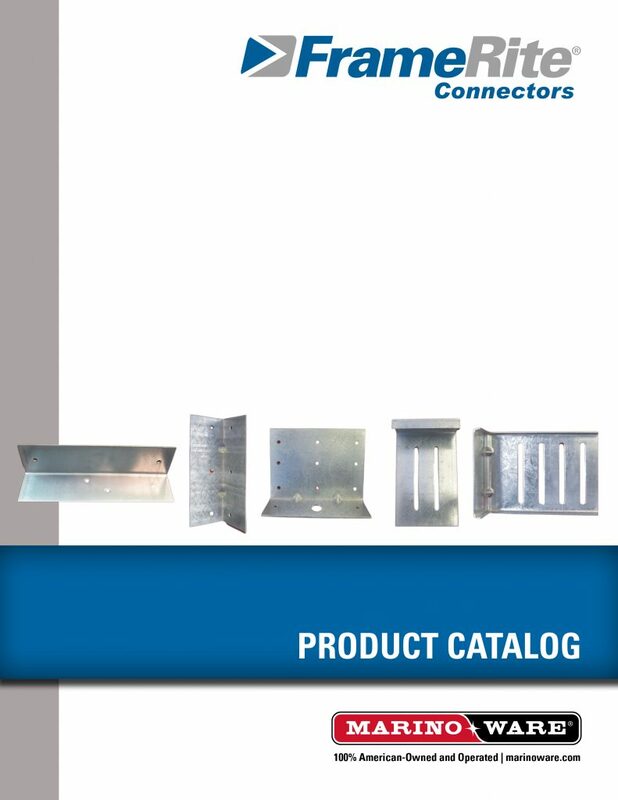 Along with our partner Simpson Strong-Tie, the industry leader in connectors, we offer over 300 varieties of connectors covering every conceivable load requirement encountered on the jobsite. and more ways to build better.